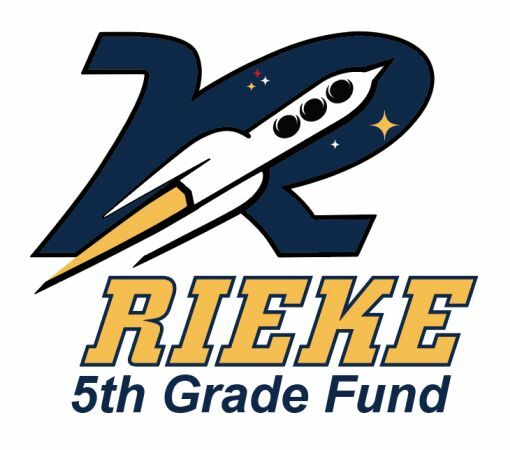 Every year, Rieke parents organize a special party for fifth graders to celebrate the completion of elementary school and their promotion to middle school. This year’s event will be held during school hours on Tuesday, June 5 at the Southwest Community Center (SWCC). This is a chance for our kids to have fun together as a fifth-grade class one last time. A small group of volunteers has begun fundraising and planning for this party and related expenses, which in past years have included a class gift from students to the 5th-grade teachers and a souvenir t-shirt and towel for each student. Now we need your help. For these activities to happen, we need all parents who can contribute to do so—in the form of cash, volunteer time to plan or attend the end-of-year party, or both. You can donate online or by writing a check. Please do so no later than March 16, 2018. This will let us know if we will have the funds available for these activities. By check: Print out this donation form, fill it out, and write one check for your combined total. Make out the check to Rieke PTA, with “5th-Grade Activities Fund” in the subject line. Please attach your check to the donation form (so that we can cross off your name for funds received). Put it in the PTA mailbox in the main office, or give it to Holly Ingram (PTA co-president). We need several parents to be “point people” for individual fundraising events this spring (e.g., movie nights, bake sales) and to coordinate elements of the party and related activities. Additional parents will be needed to help these organizers. A Google Sheet with a list of roles is available here. If you don’t want to be in charge of anything, PLEASE sign up to help someone who is. If a lot of us step up to do a little, we can pull off a great event for our kids without the volunteer burden falling too heavily on a small group. Please add your name and contact information. Someone will be in touch shortly to get you connected to each other. THANK YOU in advance for your help to make this send-off for our fifth graders a success!